Every time I go to the Kuala Lumpur Airport I’m more taken by it. Actually, I feel the same way about the city. It’s no Singapore, but it’s working its’ way there quite steadily. At the airport I found a new friend, the charge station. That’s my netbook on the counter and my daypack on the thoughtfully well-placed ledge below the counter. There were plenty of outlets for me to use and the attendants would come by and clean-up after me if I dropped any trash or spilt my drink. I could also see a clock so I could keep track of time and I had ample warning of my flight’s departure through the public address system. Plus, they have free wi-fi, but only for two hours. Then you have to go to Starbucks to get online. 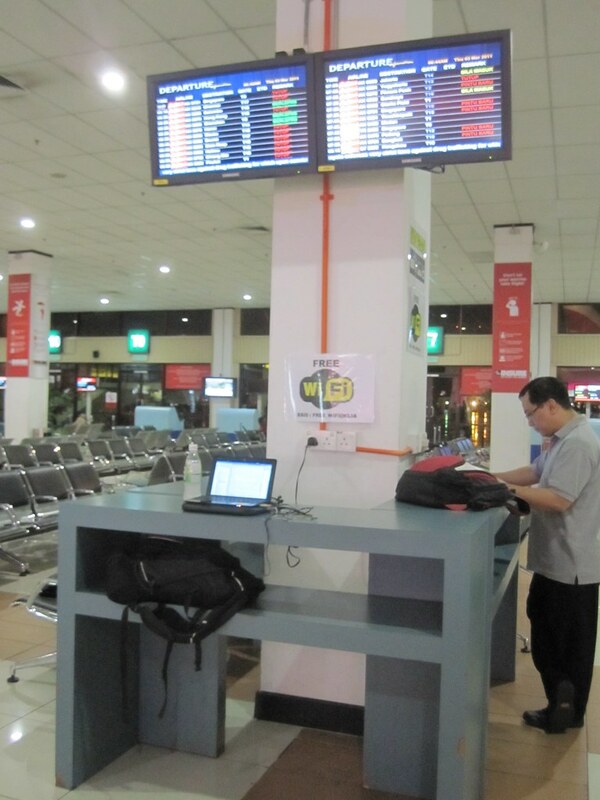 This entry was posted in Travel and tagged Kuala Lumpur, Singapore, wi-fi on March 8, 2011 by Steve.